Friday numbers: Tucker-Maddow-Huckabee (for Hannity) 1-2-3. CNN’s?thanks to Fox News for supporting their Acosta lawsuit. Fox newsers pop corks, shoot pool in latest Fox Nation promo. Goodwin: Using others’ behavior to justify your own is childish. Emergency hearing set?over future Acosta suspensions; update. Jacobson: Acosta won the day…his colleagues will pay the price. Trump backers protesting at CNN Atlanta HQ come under ‘attack’. Wednesday numbers: Tucker Carlson-Maddow-Hannity 1-2-3. Laura Ingraham giving up her radio show; will begin a podcast. The group that stormed Tucker Carlson home is?back on twitter. Esteemed Chicago mayor seeking pundit post at MSNBC or CNN. 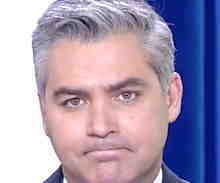 Hemingway: Everyone is wrong about the WH battle with Acosta. Why getting Acosta on the stand could be a WH dream come true. FNC stands with CNN, who smear FNC as ‘state-run‘ ‘propaganda‘. Feldman: Trump will lose the case; Darling: CNN’s suit?has no merit. Monday’s numbers: Tucker Carlson-The Five-Hannity 1-2-3. Fox’s?twitter boycott?continues; one host?did not follow orders. Fake News on trial: Five falsehoods in CNN’s frivolous lawsuit. Fair & balanced…Nap: a?very good case; Levin: a?ridiculous suit. CNN files (frivolous) lawsuit to compel the WH to admit Acosta. MSNBC braintruster: If Trump loses in 2020, he’ll stage a coup! Concha: Compare coverage of ‘heckler’ Neil Munro with Acosta. The return of Erin. ?Very?fake tweet. ?Q&A: Lawrence O’Donnell. Cable newsers Kaitlan Collins, Trey Yingst named to Forbes list. Survey says: Tucker is Repubs’ favorite host. ?Weekend numbers. Remember when Fox soft-pedaled coverage of fascism on the rise? Updated 6:23?pm? ?Use our valuable bandwidth to post your?cable news comments?in today’s open thread. Thursday numbers: Maddow-Kilmeade (for Tuck)-Hannity 1-2-3.
talks Tucker, Acosta, and his book. Jenna Lee: Public feels betrayed by US media, for good reason. 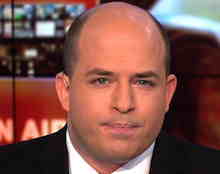 Impartial CNN anchor ridicules prayer, calls for more gun laws. MSNBC election anchor promotes pro-Mueller street protests. Sexton: After defending Antifa, will CNN admit they’re a mob? Joseph Wulfsohn leaves Mediaite for FNC media reporter role. Chris Wallace: Acosta makes journalistic solidarity awfully hard. Sullivan: CNN should sue Trump over suspending Acosta’s pass. Goodwin: Acosta violated one of the oldest rules of journalism. Wulfsohn: Jim Acosta is not a martyr…he got what he deserved. Ziegler: Media share blame for GOP reluctance to defend Acosta. Updated 7:22 pm? ?Use our valuable bandwidth to post your?cable news comments?in today’s open thread. Acosta’s White House pass suspended until further notice. Election night: Fox News and CNN top viewership charts. NBC whitewashes Acosta assault of female WH press aide. Chris Wallace: Acosta ‘shameful…he embarrassed himself‘. Martha’s new election-night role. Nicolle Wallace backpedals. Why Fox News was first. ? Cable news’?election-night studios. NYT: Nets dawdled on House call, until Fox News led the way. 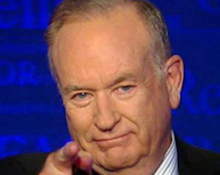 Politico: New Voter Analysis data put Fox?ahead of MSNBCNN. The War on Fox: A three-pronged attack is set to launch today. Bret Baier: How to talk to children about voting and the election. NBC journalist: American majority being pushed around by rurals. Impartial MSNBC anchor celebrates Dem replacing ‘clown’ Nunes. Impartial CNN journalist strikes again. ?JJ Ramberg out at MSNBC. Updated 8:03 pm? ?Use our valuable bandwidth to post your?cable news comments?in today’s open thread. Friday’s numbers: Sean Hannity-Tucker-Laura Ingraham 1-2-3. Hansen: CNN’s pattern of shoddiness, activism, and fake news. MSNBCNN call Trump immigration ad ‘extremely racist‘. ?More. Networks, including Fox News, won’t air ad. ?Mediaite picks a liar. Rick Folbaum resurfaces. 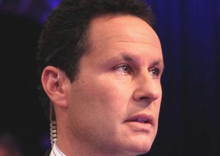 ?Dana Q&As: CNN’s Bash; FNC’s Perino. 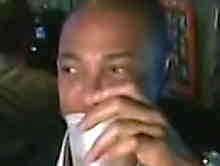 Profiles: ‘Titan of talent’ Tyrus; Chuck Todd; Chad Pergram (TVN). Updated 7:02 pm? ?Use our valuable bandwidth to post your?cable news comments?in today’s open thread. Reliable Sources videos: Midterms; fake news; polls; Trump lies. 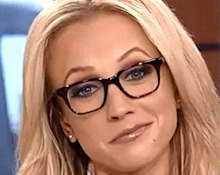 Q&A: Shannon Bream on Trump, polling, Shep, and more. MSNBC crew?blocks handicapped parking at polling place. 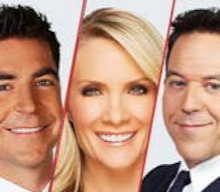 Cable newsers shake up Sunday skeds for special coverage. Once again a CNN guest goes after Fox…but there’s a catch. Road Warriors 2.0. ?Weir heads for the border. ?Sunday talkers. Somerby: Lemon?reinvents himself as a primetime provocateur. Updated 3:12 pm? ?Use our valuable bandwidth to post your?cable news comments?in this weekend’s open thread. Wednesday’s numbers: Sean Hannity-Tucker-Laura 1-2-3. 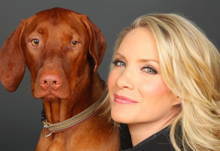 Q&A: Dana Perino. ?CNN clams up. ?Steve Doocy and paprika. Heather Nauert tops UN Ambassador list. ?Midterms?coverage. 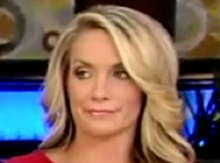 Brian Williams ‘thrives’ at 11pm (yet he?loses to Shannon Bream). Harsanyi: ?Lemon’s racist rant?is also inane. ? Project 21 weighs in. Gregg Jarrett rips Don Lemon. ?Lachlan Murdoch sticks up for FNC. Updated 6:35 pm? ?Use our valuable bandwidth to post your?cable news comments?in today’s open thread.